Hey Posse! You may have heard of the newest craze sweeping the world: Box Subscriptions. I’ve been looking around at a few and most only ship within their country of origin. Living at the end of the known universe has drawbacks. So one that I particularly like is the Boxwalla series, it’s a curious amalgamation of English and Hindi (Box = Box, Wallah = Maker/Seller). Boxwalla curate bimonthly boxes in four categories : Beauty, Book, Film and Food (read more in an interview with Lavanya of Boxwalla at APJ). You can subscribe to any one category and then hop around between categories in subsequent cycles thus exploring multiple interests with one subscription. Lavanya Krishnan, who recently co-founded Boxwalla to showcase artists, artisans and amazing products from around the world, is a perfume nut and a long time Posse reader (she blames Patty for her abiding love for Caron’s Poivre and March for her uncharacteristic foray into nail polish). Beauty: Discover the most luxurious and effective products to nourish your skin and body. The products chosen have been carefully crafted by artisans from all over the U.S.A. Our artisans use the finest non-toxic ingredients that are always cruelty-free. Food: The Food Box contains ridiculously delicious food products made in small batches in the U.S.A. Each included product is one of the best we have found in its category. Book: The first series of book boxes will focus on great, living writers from all over the world. All of them are must-read but not as widely read as they deserve to be. All of them are also prospective Nobel Laureates. But we don’t want to wait till they win. We want to (and want you to) read them now! Film: “Art Cinema is boring”. The film box challenges this notion by demystifying the work of the best filmmakers, by creating a context within which to view them. 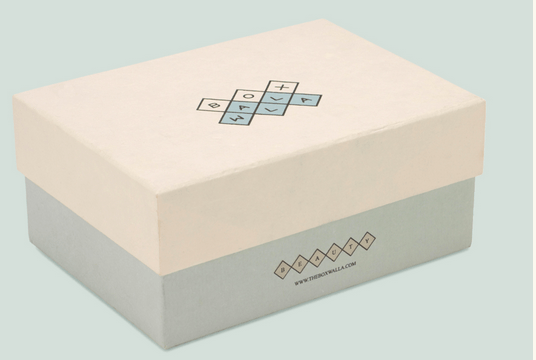 Lavanya would like to give away one Boxwalla ‘December box’ in the winner’s choice of category to one Posse reader. Ships worldwide, except for Food. 1) Sign up for the Boxwalla newsletter here<<<JUMP. Entries Close Saturday 12th December 2015 10pm Australian EST and winners will be announced in a separate post. I would choose the book box. Always good to be challenged by new books you wouldn’t normally pick up. I’d choose the beauty box ???? I follow by email. I would choose the beauty box as there is always something in that area to enliven the senses. Beauty box for sure! Great giveaway and thank you APJ/Boxwalla! All requirements done! Hoping…for a BEAUTY box. Thank you. How cool is this! I have signed up for the newsletter and followed Boxwalla on IG; I use different user names and email addresses. I would want the beauty box but the food box sounds great too. Thanks for the opportunity! I would choose the beauty box because it’s fantastic that everything in it will be cruelty free. Followed on all social media platforms. I would love the food box. Always looking to try different foods. However, I would hope they would be vegetarian. I have gotten other food boxed and had to give away half the contents. So many items contain gelatin. Hi Adrian – yes! the Food Box is vegetarian! Joined the newsletter! I love the concept and thanks for the interesting giveaway. If I were to be chosen, I’d like the book box most of all. I could go for the beauty box. I would choose the film box. I love subscription services, they make fabulous gifts (for myself and others both). I would totally choose the Beauty Box, please! Love their name! Tempted to buy one because of it. Beauty box for me. I usually shy away from box subscriptions feeling that there is always something I wouldn’t like in the boxes. But! Food! Film! Books! That’s a genius idea. I would choose the Book Box first. It’s always good to have your mind expanded by new ideas. Also following on Twitter and Facebook. I would choose the beauty box! I follow by email, Twitter and Instagram! Thanks for a great giveaway! This is such a great idea. I would love to try the beauty box. I always love to try new beauty products although all of them sound wonderful. Thanks for the opportunity! I would choose the beauty box!